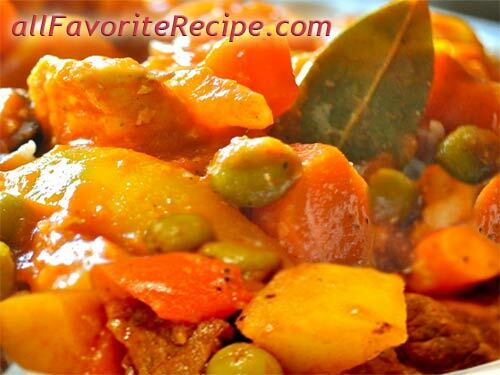 Caldereta or Kaldereta is a classic Filipino dish that traditionally uses goat meat with stewed tomatoes (see Goat Kaldereta Recipe). 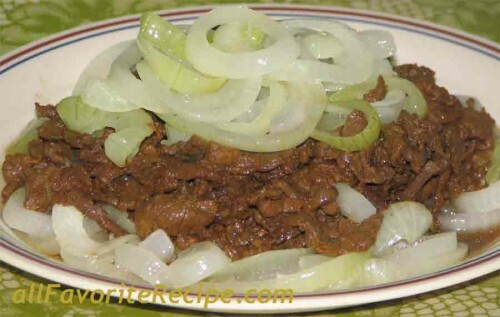 But goat meat is hard to find except from specialty store, that’s why most Pinoy opted to use other meats such as pork, beef and chicken which is common in the marketplace. 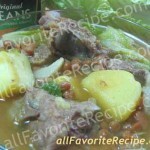 Anyways, hope you’ll like this Beef Caldereta recipe because my family love this Filipino dish. Thank you!You’re a good help to me. I have no idea how to cook any before. Now I started to appreciate cooking! and cook in my own! More power!